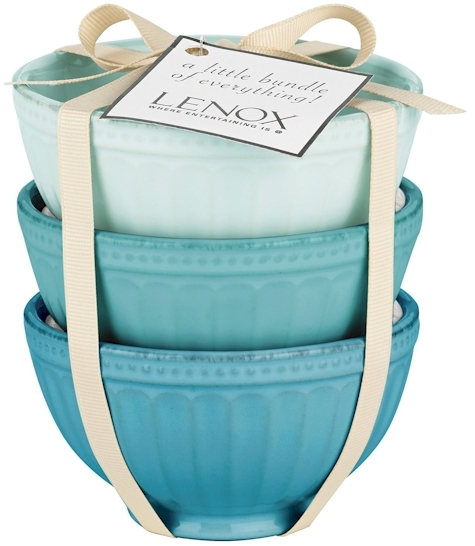 Amazon has got this set of 3 Lenox French Perle Mini Groove Bowls in blue hues for just $10.00 with free Prime/SuperSaver shipping. These make great hostess gifts. Description: Crafted of sculpted stoneware with an elegant fluted design, the French Perle Groove Ice Blue 6" Mini Pitcher is the perfect dinnerware accessory for any occasion. 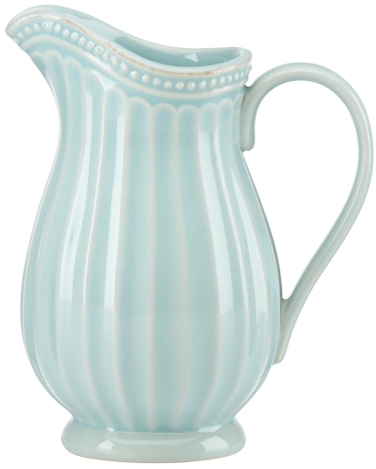 This lovely pitcher can be used as a creamer, or for serving sauces or dressings. Add a bit of French style decor to your table with this unique mini pitcher. Makes a wonderful housewarming gift.